It’s not often a person can say he or she has directly improved the lives of hundreds of thousands of people in just a few years, but that’s exactly what Canadian Jesse Moore has managed to do. And he’s just scratching the surface. Moore is co-founder and managing director of M-KOPA Solar, a Nairobi-based venture that for the past three years has been bringing solar lighting and phone charging to homes in Kenya, Tanzania and Uganda that don’t have access to grid electricity. Without that power, residents typically burn kerosene lanterns at night for lighting. It’s a big fire hazard, a significant emitter of greenhouse gases, and a major cause of indoor air pollution and associated lung disease. On top of that, it’s expensive – about a quarter of a household’s $2-a-day average income goes toward the purchase of kerosene fuel. Moore knew solar technology addressed the environmental and health issues, but the challenge was making it both affordable in a country like Kenya and profitable enough to turn it into a business with long-term ambitions. What he ultimately launched was a mobile micro-leasing platform – a way for Kenyans to get the solar system right away but pay it off gradually for no more than the daily cost of kerosene. Kopa, after all, is “to borrow” in Swahili. “We’re basically just mortgaging solar systems to people,” he explains. The package includes an 8-watt solar panel, two adjustable LED lights, one portable LED torch-light, a USB connector for mobile phone charging, and a portable solar radio. It all retails for about $175, but those who sign up can take it home for a $30 deposit. To cover the rest, households are charged a small fee every time they use the system. Typically, systems are fully paid off after a year. The idea is taking off. M-KOPA has sold about 200,000 systems since October 2010 and continues to add customers at a rate of 500 per day. Next year, Moore aims to hit 500,000 systems and a year after that surpass one million. Despite such phenomenal growth, he stops short of calling it a success. 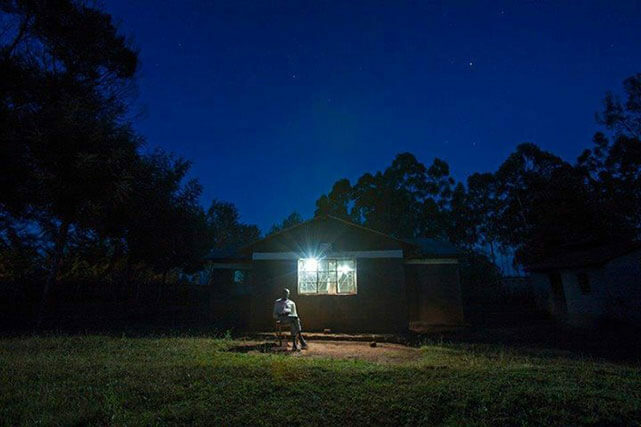 “It hasn’t taken off, actually, from a customer purchase standpoint,” says the 36-year-old entrepreneur, pointing out that Kenya alone has five million people without access to grid electricity. “The other 96 per cent is still waiting.” Expand that to all of East Africa and there’s 20 million homes without power. “So we still have a long road ahead,” he adds. Still, by any other measure M-KOPA has been a stunning success, largely due to its innovative micro-financing approach. Moore grew up in Toronto’s Beaches neighbourhood, where he attended Malvern Collegiate Institute before heading off to North Carolina University at Chapel Hill for undergraduate studies. After graduation he returned to Toronto and in 2002 got a job at CARE Canada, the not-for-profit humanitarian aid organization that fights global poverty. As CARE’s director of private-sector development, he started a group called CARE Enterprise Partners, which supports social enterprises trying to create jobs and improve the lives of people in developing countries. This work brought him frequently to Kenya, where he observed first hand the many barriers to progress holding back poor families. Knowing he needed to bone up on his business skills, Moore enrolled in the MBA program at Oxford University’s Said Business School. A Skoll scholar, he graduated with distinction. It was while at Oxford that he was drawn to the potential of mobile phone and payment technologies as a way to improve social circumstances in developing economies. Landline telephone infrastructure is lacking in countries such as Kenya, but wireless service has skyrocketed, leapfrogging tethered phone service. 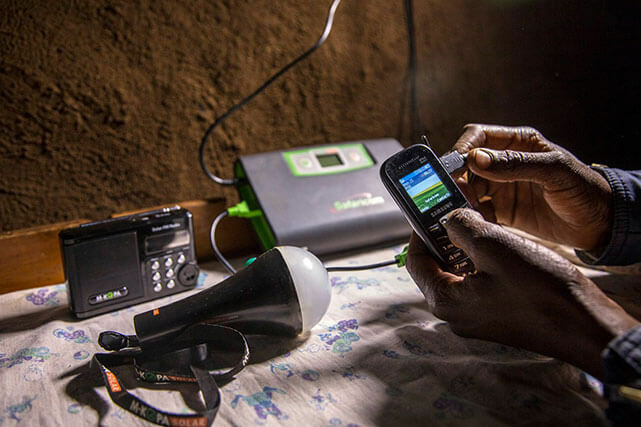 Mobile phones, even amongst the poor, are more ubiquitous than electricity service. This means many have a mobile phone but no easy way to charge it. The huge popularity of mobile technology became clear to Moore when he found himself once again in Kenya working with Vodafone Group and Safaricom on the M-Pesa mobile payment service, with the “Pesa” meaning money in Swahili. Launched in 2007, M-Pesa is Kenya’s equivalent of PayPal for mobile phones. “It’s a runaway success story,” says Moore. About 19 million Kenyans have signed up for M-Pesa accounts and 14 million are active users. Billions of dollars move through the system, which handles on average 260 transactions per second during daytime peaks. It was while working with M-Pesa in 2010 that Moore first latched onto the idea for M-KOPA, along with Oxford schoolmate Chad Larson and Nick Hughes, formerly the head of global payments at Vodafone Group and the man who planted the seed for M-Pesa in 2004. “We struck this business partnership in 2010 and it was like, holy cow, I have to move down here and make it happen now,” recalls Moore, who along with his wife, former CBC journalist Natasha Sweeney, relocated that year from Toronto to Nairobi. The heart of M-KOPA is a pay-per-use business model and the key to making it work is a wireless SIM card that’s embedded in the solar panels the company sells. Using M-Pesa, customers with M-KOPA’s system purchase 40-cent credits on their mobile phone that they can use to activate the solar panel. In other words, no credits, no power – at least until the panel is paid off. “If people don’t pay, we can just shut off the solar,” explains Moore. “The minute they pay again we just remotely switch it back on.” He says the company collects 15,000 micropayments a day and every one of them comes through M-Pesa. Moore, Larson and Hughes began piloting the concept in 2010 on a few hundred customers. To raise money for expansion, they had to prove to investors that customers who received a $175 system for a $30 deposit would, in the end, reliably pay back the rest plus $25 in interest. The M-KOPA Solar device allows you to charge two components at once. Armed with that encouraging evidence, they incorporated in October 2011 and worked toward the 2012 launch of a commercial product. To this day, the payback rate continues to hold. “It converges digital, financial and technological innovation into a new business model to achieve not just market returns, but also a positive impact from an economic, social and environmental perspective,” Parker says. It hasn’t been a cakewalk, mind you. Moore says customers aren’t lining up to get the package, partly because it takes some time to explain the business model and convince people it’s not as expensive as they first imagine. After a 20-minute sales pitch, however, the light bulb usually goes off. 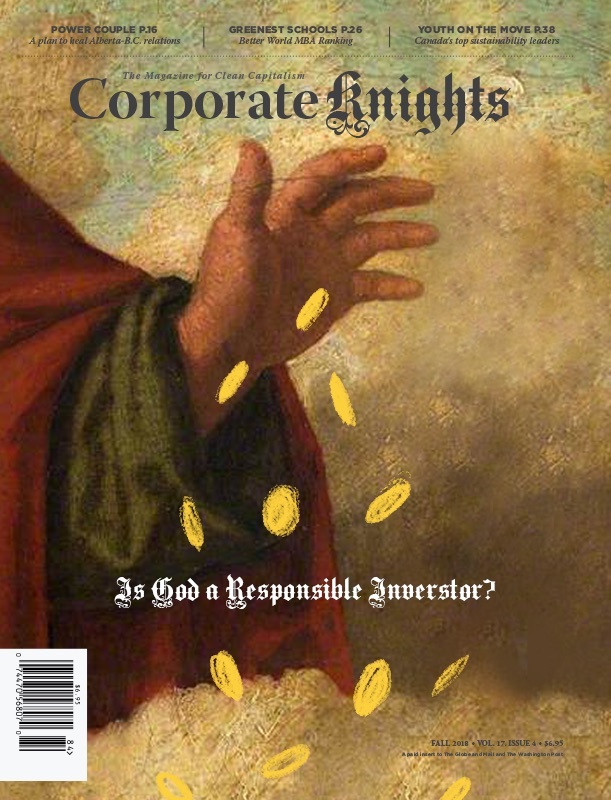 “We find we have to go out and really push the product,” he says. M-KOPA has moved into Tanzania and Uganda as well by integrating with the most popular mobile payment systems in those countries. The company has grown to 660 employees and another 1,000 make money as resellers of the M-KOPA service. A new licensing model has also just been launched, allowing third parties to open franchises in other countries, such as Ghana. M-KOPA plans to expand that model into other parts of Africa as well as Southeast Asia. 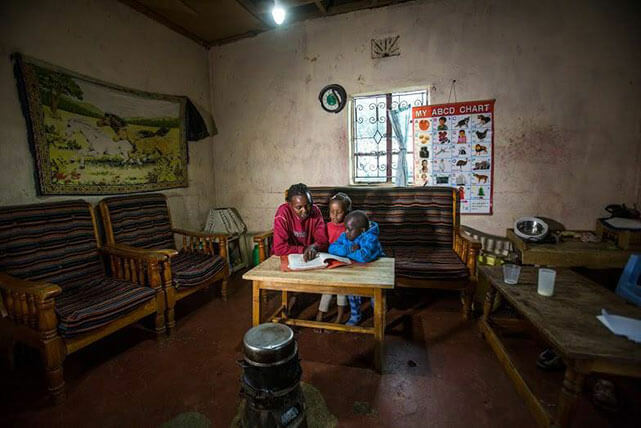 “We believe that we are at the dawn of a multi-billion dollar ‘pay-as-you-go’ energy industry,” said Oliver Karius, a partner with LGT Venture Philanthropy, which in February led a $12.5 million (U.S.) fourth round of financing for M-KOPA. That deal followed a $20 million round in December 2013 led by Commercial Bank of Africa. He describes his last few years in Kenya as an adventure – from building a company with hard-working locals with “a lot of hustle” to watching his Nairobi-born son, now two and a half years old, grow up in a place where seeing lions is like going to a neighborhood park.